The tour begins as you leave for your first destination Mathura from Delhi. Located around 181 km from Delhi, Mathura is one of the most significant religious sites of the country. The birth place of Lord Krishna, Mathura is visited by thousands of people from all across the world. Mathura is home to numerous temples, each one having its own significance. Begin with a visit to the main temple of Mathura, Dwarkadheesh Temple. Later, visit Sri Krishna Janam Bhumi, the place where Lord Krishna was born. Vishram Ghat is another attraction of Mathura where Lord Krishna took rest after defeating Kansa. You also visit other attractions of Mathura like Radha Kund, Gita Mandir and many more places. After a long day of sightseeing at Mathura, stay overnight at the hotel. This day, you visit Vrindavan, a beautiful town located near Mathura. The town tells you more about Lord Krishna’s childhood. Have your breakfast and then leave for Vrindavan. The town is dotted with beautiful temples dedicated to Lord Krishna and Goddess Radha. Visit the famous Banke Bihari Temple, Madan Mohan Temple, the oldest temple in the area and Sri Radha Raman Mandir temple. Also visit other temples of the town like Prem Mandir, ISKCON temple and Vrindavan Chandrodaya Mandir. In the evening, get back to the hotel and relax for the rest of the day. Stay overnight at hotel. After having your breakfast in the morning, leave for the city of love- Agra. Explore the Mughal architecture of Agra and flip back the pages of India’s glorious history with this visit. 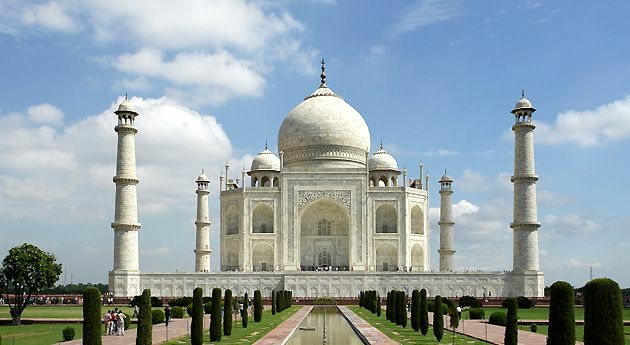 Visit one of the Seven Wonders of the World, Taj Mahal. The beauty of this monument is truly matchless. Also visit the Agra Fort, which is another great architectural marvel of Agra. In the evening, take some rest at the hotel. Stay overnight at the hotel. This is the last day of the tour. Have your breakfast at the hotel and then leave for Delhi.